This kitchen presented a challenge. 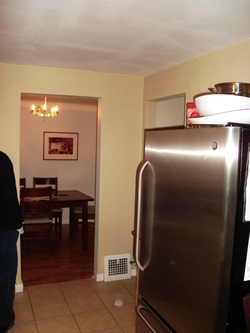 Long and skinny, a giant refrigerator with no place to go, closed off and isolated from the rest of the house, yet still functioning as a passageway to the finished basement. 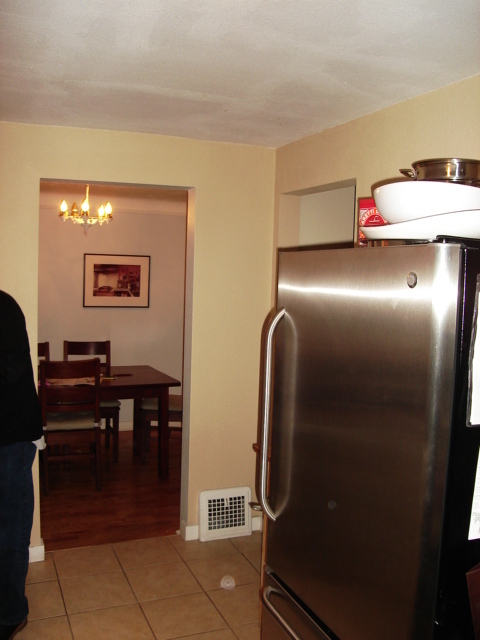 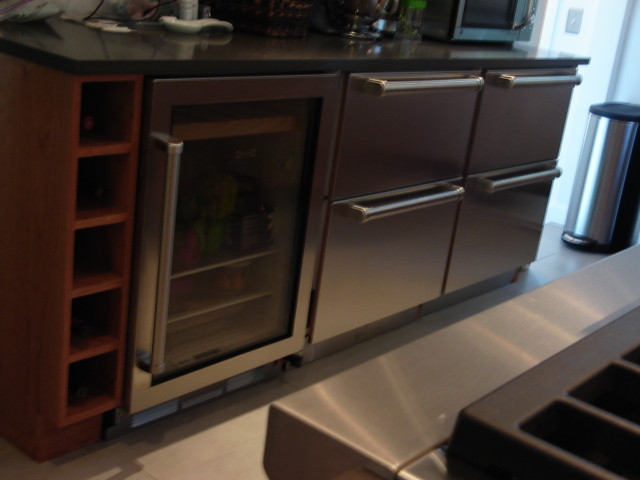 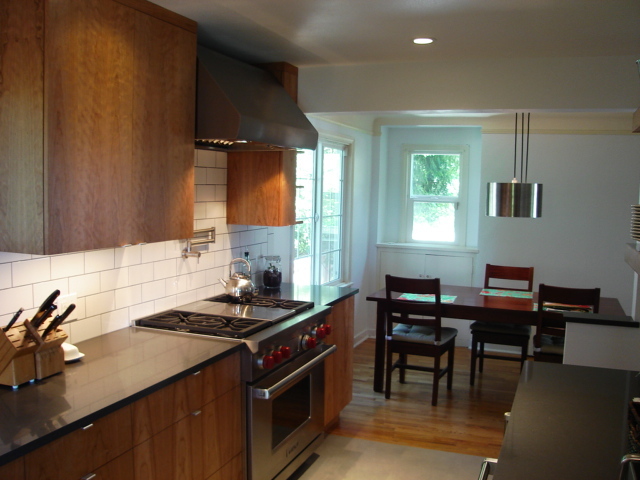 By removing the wall between the kitchen and dining room and moving the refrigeration under the counter, a much more inviting and open feel was created. Counter top work space was increased significantly as well. 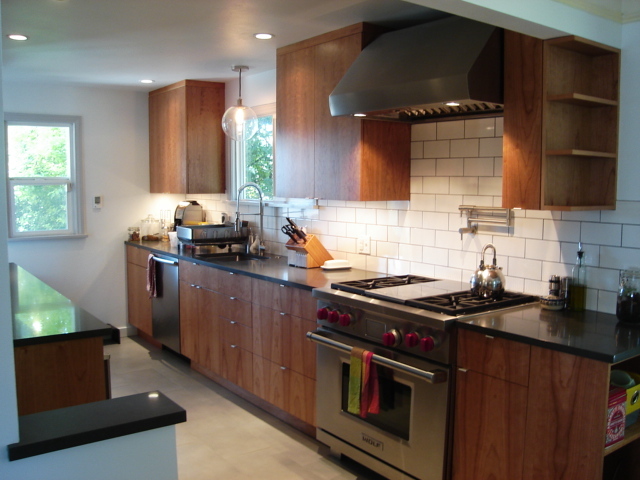 Amenities include all new appliances by Wolf, Subzero, and Bosch, heated tile floor, a pot filler above the range and a commercial grade sink and faucet. 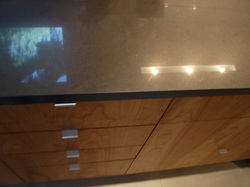 Beautiful new cherry cabinets and fronts are by Lea Howlett of High Road Wood Works. 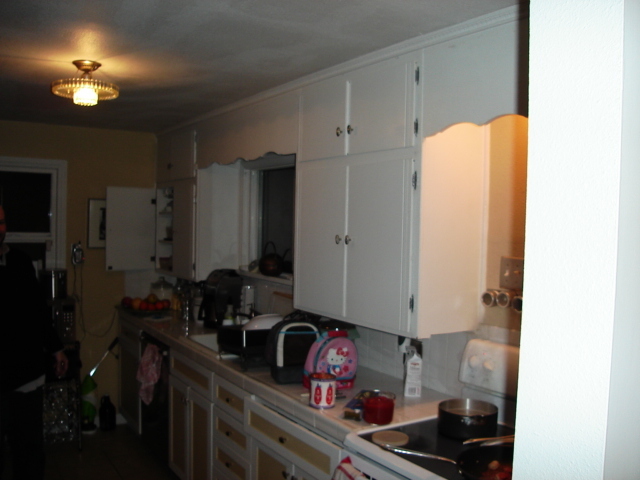 Existing cabinets were retained to the left of the range, refitted with full extension drawer slides, pull outs, and soft close hinges. 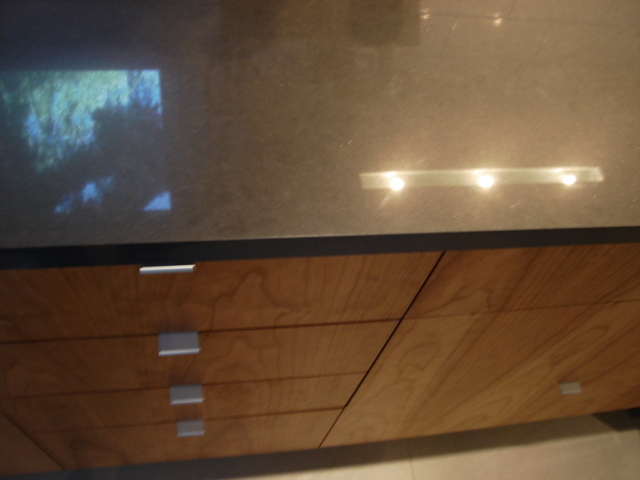 Counter tops are Chroma, by Pental.